Lillie was a surgeon and medical officer aboard British whaling ships in the Antarctic during the 1940s. Originally from Dundee, Lillie received his MB ChB from the University of St Andrews in 1939, previously graduating from an Engineering BSc in 1926. He began his career at sea during the whaling season of 1946-1947. Serving up to 600 sailors at a time, Lillie was putting his surgical skills to good use at sea. 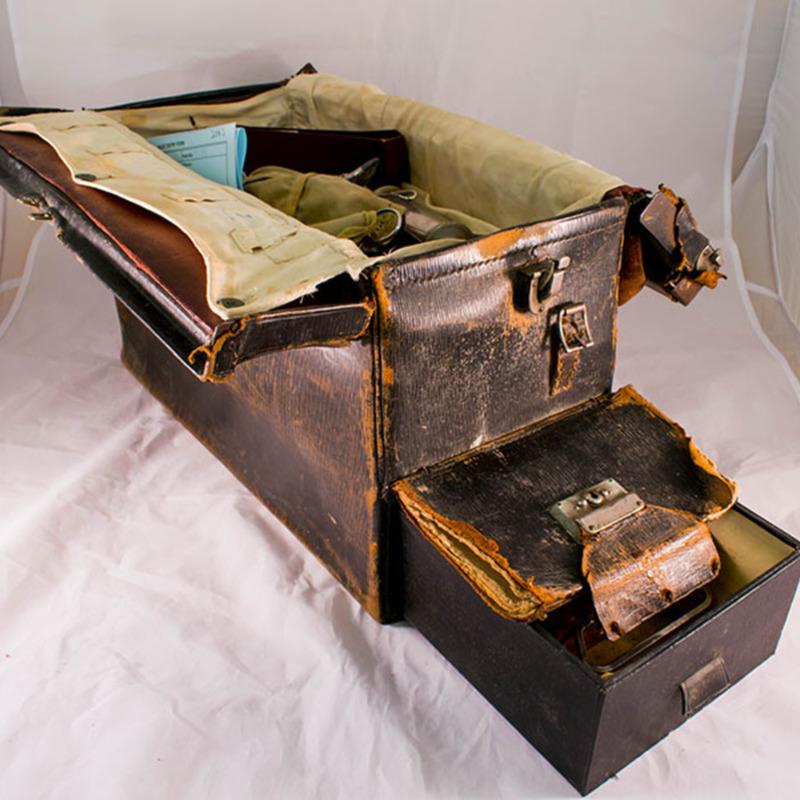 The case holds instruments that would have been commonly found in any ship's ward; an enema, scalpels, suture needles, ligatures, and a sphygmamoter. 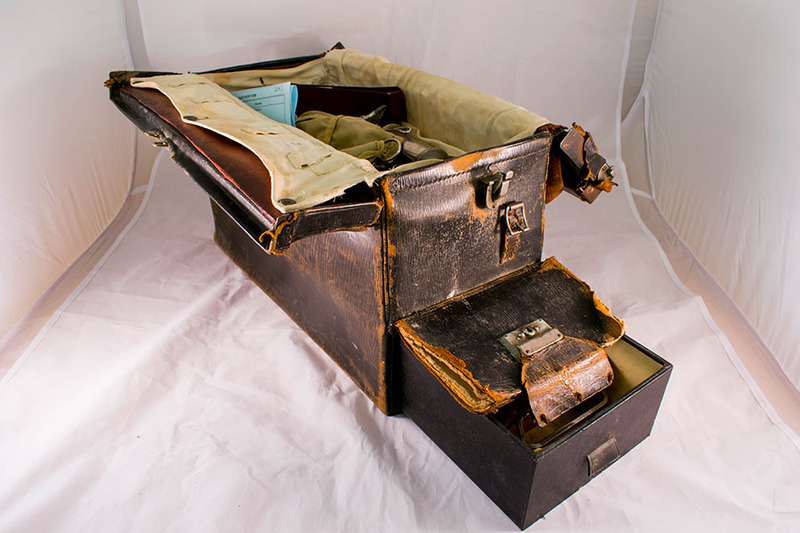 Unknown, “Surgical Case Belonging to H.R. Lillie,” Heritage, accessed April 24, 2019, https://heritage.rcpsg.ac.uk/items/show/79. Description: Lillie was a surgeon and medical officer aboard British whaling ships in the Antarctic during the 1940s. Originally from Dundee, Lillie received his MB ChB from the University of St Andrews in 1939, previously graduating from an Engineering BSc in 1926. He began his career at sea during the whaling season of 1946-1947. Serving up to 600 sailors at a time, Lillie was putting his surgical skills to good use at sea. The case holds instruments that would have been commonly found in any ship's ward; an enema, scalpels, suture needles, ligatures, and a sphygmamoter.